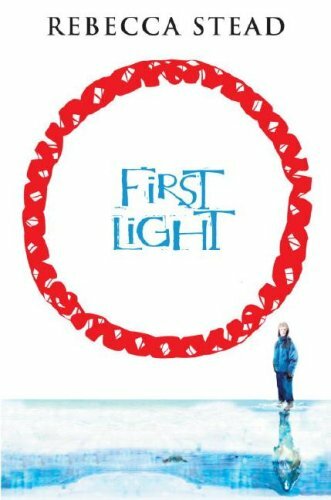 This morning I was very excited to see Rebecca Stead’s book First Light as the suggested book in the Washington Post’s KidsPost section! For my money, this place in the paper is much better for a kids’ book than the official book pages, so like, “Yeah, Rebecca!” I really liked First Light  not to mention the author herself  so I’m glad to see the book get some buzz. Remember how I mentioned the Al Roker book club call, Rebecca? You may want to prepare. 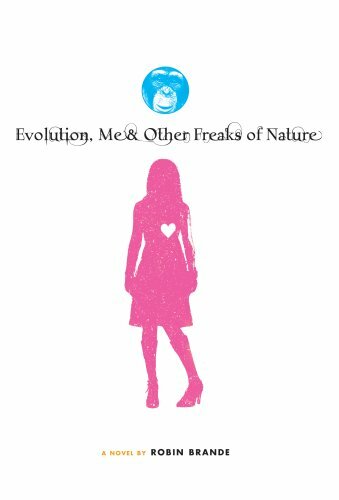 In other book news, Fuse#8 alerted me to the presence of a book trailer for Robin Brande’s book Evolution, Me, and Other Freaks of Nature. Very cool. I really enjoyed the book, but Bill reviewed it because he won the coin toss. Let me add to his review that I particularly like the humor throughout the book, which kept a heavy topic from taking over the tone. For instance, a description of a yoga position that “can only come in handy if you ever want to shave your own back.” One more thing: I think that the opening paragraphs set up the book so perfectly. Here they are, as a MotherReader bonus, so you’ll check out the trailer, the review(s), the first paragraphs, and get yourself this book  now available at a bookstore near you (or at Amazon, duh). I knew today would be ugly. When you’re single-handedly responsible for getting your church, your pastor, and every one of your former friends and their parents sued for millions of dollars, you expect to make some enemies. Fine. It’s just that I hoped my first day of school  of high school, thank you, which I’ve only been looking forward to my entire life  might turn out to be at least slightly better than eating live bugs. But I guess I was wrong. In completely unrelated news, my favorite maker of T-shirts is having a sale through tomorrow. Many of the fantastic Threadless styles are on sale for $10. I’ve talked about the Haiku shirt, the Shakespeare Hates Your Emo Poems shirt, the I’m a Noun! shirt, the Spoilt shirt, and now I’ll point to the Stupid Raisins, Stay Out of My Cookies shirt. It has no literary connection, but it makes me laugh. My reading pace right now is so slow, but I'm enjoying Robin's books. And, hey, I need that tee shirt. I meant to say "book." Oh well. Thanks for letting me know, Pam !! I had no idea. Love the baby beluga, by the way . . .